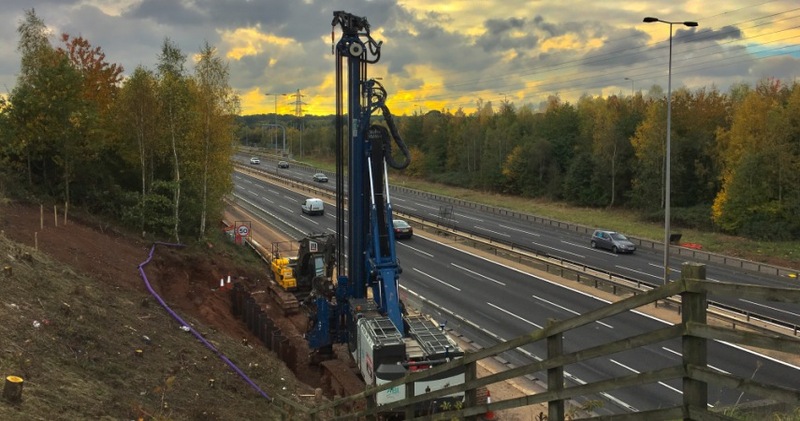 DAWSON WAM was awarded the contract for the installation of permanent sheet piled retaining walls and king post walls to allow for the M5 J4a-6 smart motorway project to proceed in 2016. In total over 60 individual retaining walls were installed up to 12m in depth over a 9 month period. 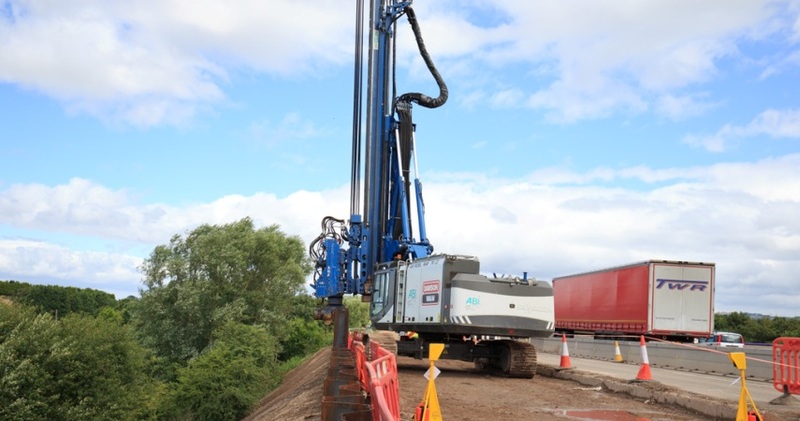 DAWSON-WAM utilised their powerful ABI TM22 piling rig with revolutionary quick docking system which allows quick change over between auger drive and vibro hammer attachments saving 90% of rigging time which was key to the programme. Piles were generally installed to significant depths into mudstone, and into sandstone in the northern quarter of the site. Preaugering was completed up to 10m into mudstone and sandstone to allow vibro installation of sheet piles. Preaugering was complete using the hybrid Cased CFA System which allows loosing of the hard mudstone/sandstone with relative ease compared to conventional CFA systems. Sheet piles were installed using a powerful 30VV hammer which operates at ultra high frequencies reducing the damaging vibrations felt by lesser hammers and drive units. Due to the restricted nature of the works sheet piles and other materials for the retaining walls were delivered to DAWSON-WAM’s remote yard in Bedfordshire. From here piles were delivered to site on a just in time basis within traffic management restricts to minimise disruption of other works and the public. Piles were purchased by our client however all other aspects of supply were dealt with by DAWSON-WAM. AS part of our quest for continual improvements we trialled a smart barrier system on the project. This smart barrier works alongside conventional systems and alerts operatives to anyone or anything breaking the barrier. The trials were so successful the client’s team wish to employ this site wide on future projects. During the course of our works we were involved in liaison with our client, Highways England, and other associated bodies in weekly review meetings and design development meetings. DAWSON-WAM undertook the scheme under the goals set out in its sustainability policy and matched the requirements of the BBVJV sustainability plan and diversity plan for the scheme. 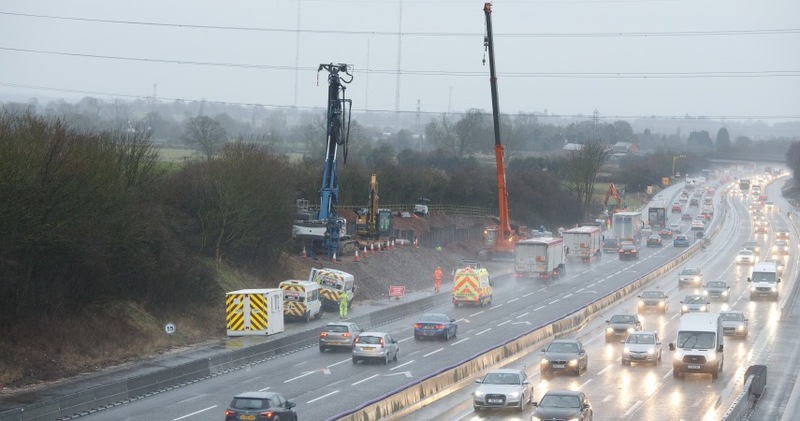 The M5 was classed as an environmentally active and sensitive area and strict protocol’s were put in place to ensure as little disruption to as possible to the natural environment and wildlife. 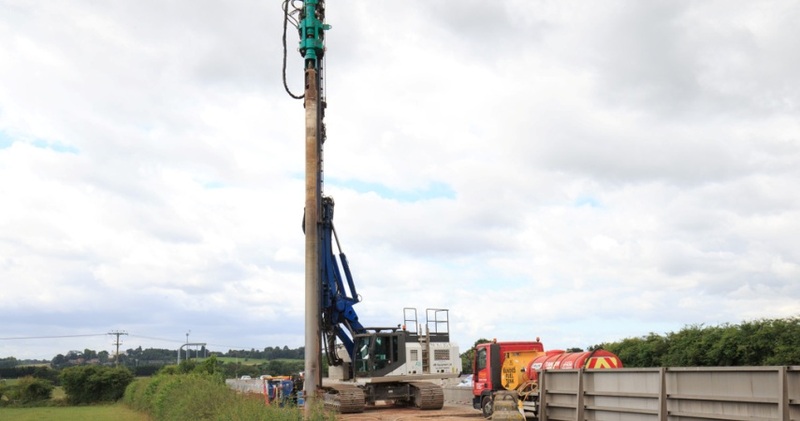 We installed piles beside watercourses and badger habitats, as well as adjacent to live Network Rail infrastructure, critical utilities and sensitive structures.